Ethics 4 A Digital World: But Everyone Has a Cell Phone! But Everyone Has a Cell Phone! What's the right choice for your family? "I'm the only one of my friends without an iPhone." Some of those statements may sound familiar. Maybe you're at your breaking point or your child has finally reached the magical age you've determined warrants a personal mobile device. Before you hand over the powers of the universe to your teen or pre-teen, you might want to consider some guidelines. Perhaps you have even seen a recent example of a contract between a mom and her thirteen year old son who received an iPhone for Christmas. We are proponents of clear guidelines when it comes to technology and teens. Though we don't have a specific list of rules to promote, we do suggest a few areas that warrant family discussions and may help you arrive at some parameters of your own. Discuss the purpose and ownership of devices. Is it for emergencies only? Are there data plan limits? Is it a shared device? How is it shared? Are there rules for downloading apps, music, movies, etc.? Encourage and model good manners. Mobile devices bring connectivity to almost every part of our lives...even the kitchen table at meal time. We've probably all experienced interrupted meetings and distracted conversations due to the use of mobile devices during our work days and outings. Some of us find the presence of these devices annoying while others don't mind. However, there are probably sacred spaces within your family time that make cell phones and iPads unwelcome visitors. We encourage you to think about and discuss as a family when it's appropriate to turn off the tech, whether it's dinner time, evening technology 'curfews' or tech-free vacations. At 9:00 PM, all devices go to a central charging area until morning. Face-to-face conversations take priority over electronic ones. Promote Common-Sense Safety and Security. Privacy and security are hot topics and can create heated discussions. From a personal security point of view, it's a really good idea to have password protections on mobile devices. 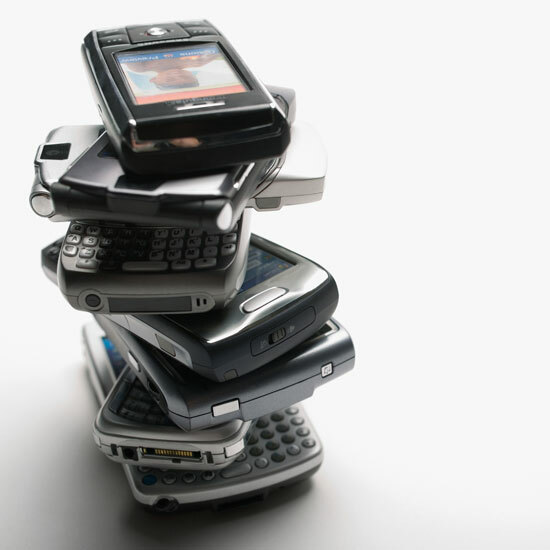 Frankly, for some of us, losing a phone might be more of an issue than losing a wallet! If your teen is using a mobile device, discussing who should or shouldn't know the password is also very important. Being specific about who can or can't know a password (parents = yes, friends = no) is a good idea. It's also essential to explain why. Other issues of privacy can arise when mobile devices allow access to social media accounts, email and more. Discussions about how passwords will be shared with adults, for what purpose and when, are vital and should happen often. Guidelines for ten year olds will likely be different than those for high school students. Passwords to access cell phones are shared, but only used in the case of an emergency or significant concern about a child's well being. Passwords to devices and accounts are kept in a sealed envelope to be used in case of an emergency. Passwords must be shared because the child is the user, but not the owner of the device. Passwords may not be shared with anyone outside of the family. On a final note, when we start talking about privacy as it concerns teenagers, we should remember how we felt when we were teenagers. Though some things have changed, and the stakes seem higher in the digital world, kids today continue to want their privacy respected. It's still a delicate, necessary, and ongoing conversation in which parents need to be engaged with their children. danah boyd has done a particularly good job of researching how teens feel about privacy in the digital world. We also recommend the Pew Internet & American Life's study on Parents, Teens and Online Privacy. Stay tuned for a follow-up blog post that continues to explore issues of privacy, technology and teens. We'll also be focusing our spring Parenting in the Digital World workshop on this very topic.